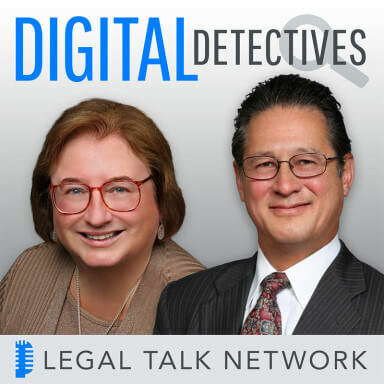 On This edition of Digital Detectives, co-hosts Sharon D. Nelson, Esq. and John W. Simek discuss the Georgetown E-Discovery Training Academy with Tom O’Connor. The training consists of a week-long curriculum for those interested in becoming fluent in e-discovery through small-group discussions and interactive-learning sessions. O’Connor is a senior consultant for Gallivan, Gallivan & O’Melia, creators of the Digital WarRoom e-discovery software. He is co-author of the book E-Discovery for Small Cases: Managing Digital Evidence and ESI. The book was noted by PRWeb as the first book to “mainstream” e-discovery for all cases. He is a frequent author and speaker on legal technology and dedicates his work to making advances in the field. If you couldn’t make it, here’s your chance to learn about the conference: who was there, what they learned, and the plans for next year. Thanks to our sponsor, Digital WarRoom.